Today's card is one I made to give to the owner of The Crafty Scrapper. Carolyn has been in the business of making scrapbookers happy for SEVEN years. We had a magnificent birthday celebration this past weekend. Even though I am retired, I do have a tiny (and I mean tiny) part time job at the most wonderful scrapbook store on earth. I was lucky enough to work during the big birthday party weekend. It was great! These cutesy papers are all from Crate Pater. And so is the stamp. Isn't she adorable? You can probably see that I used lots of dies on this card. 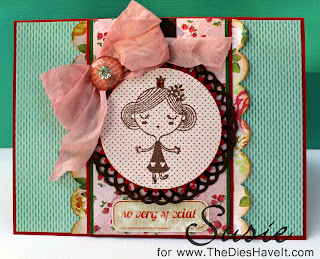 I used Spellbinders for the focal image and the pinked circle. 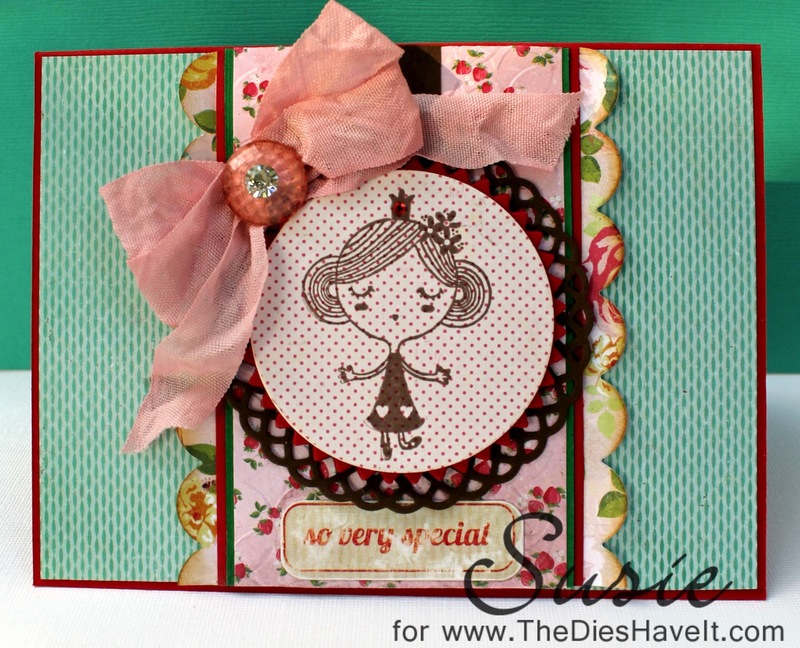 I used MFT Die-namics for the large doily and the scalloped borders. I just can't get enough of these dies! So there you have it - vintage cuteness on a card! I'll be back tomorrow. Can't wait to show you what I'll will have for you then.